It's worse than that, it's physics, Jim. I’ve been trying to get back into astrophotography after many years lapse. I’m still learning my way around the new technology, so haven’t yet made the best use of some wonderful clear nights. 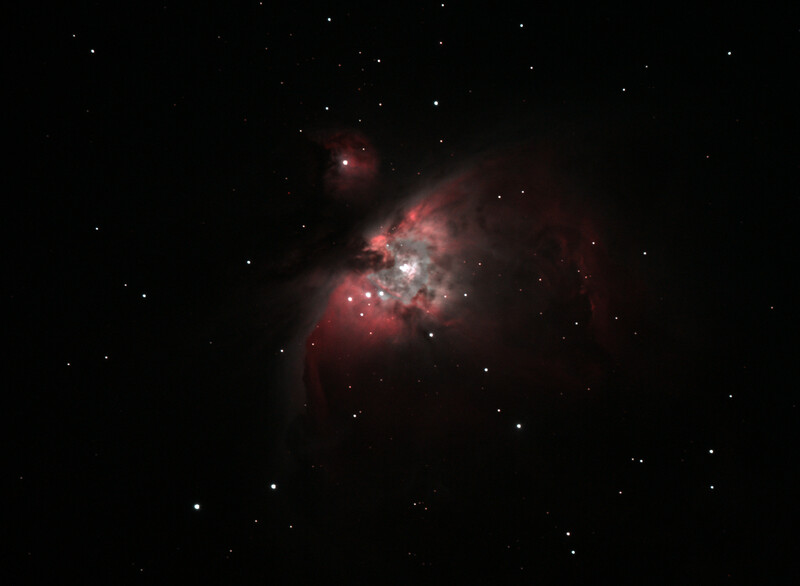 That said, I did get out a week or so back and get around 30 minutes of total exposure time on the Orion nebula. The processing I’ve done on the image is a bit rough and ready so far – I really need more exposure time and some short exposures to fill in the over-exposed centre of the nebula.